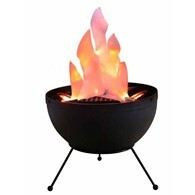 A cast iron humidifier kettle to put moisture back into the air in your home, an essential to any house with a stove in the cold dry winter air. 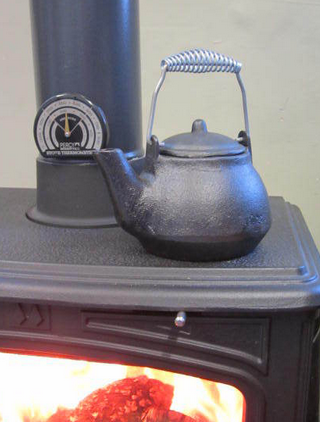 Stoves can make the atmosphere very dry so place water in this tea pot and put it on the stove to keep the air moist. The water will gradually steam away preventing skin from drying out and sore throats from the dry air. This kettle has a metal spring coil handle and is made from cast iron which is very sturdy and will last for years to come if cared for properly. Rather than having to purchase an expensive electric humidifier or large appliance you can use this discreet cast iron kettle as a cheaper alternative. The kettle will not only look great with a rustic feel sitting on your stove, it will humidify the air whilst using your stove's heat, which is more economic than using electricity too. Please note that this kettle is a humidifier kettle only and not for water for human consumption. It holds approx. 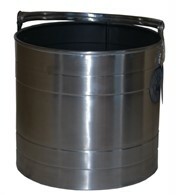 1 qts which equates to nearly one itres and includes a lid. Cast iron becomes very hot so you may need to use gloves to refill the kettle when hot. To care for your kettle make sure you empty the pot between use so water isn't sat in it when the kettle isn't being used. Re-season the kettle occasionally by washing the kettle out with cooking oil. 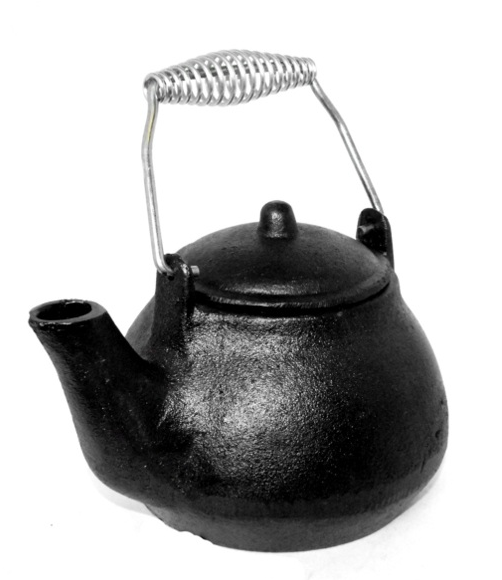 There are no reviews for Cast Iron Humidifier Kettle Hearth Tea Pot.